Relax and recharge during New York Fashion Week at the Bumble Hive! Bumble has teamed up with @newyorkster and @girlandthebay to create an engaging and empowering lounge where guests can expect access to experiential art installations, hair and makeup touch-ups, emerging designers, photo opportunities, a place to relax, and more. The Bumble Hive offers a safe space to foster connections with new and old BFFs alike — and where attendees can enjoy exclusive access to brands and products we love during NYFW. Interactive experiences where you can see and be seen during NYFW. Whether you stop by to get pampered in between shows, shoot your looks, discover emerging designers, customize your very own piece - there’s something for every fashionista at The BFF Hive. Drinks will be flowing and snacks will be served to keep you hydrated and refueled while you’re on the go during NYFW. Our favorite brands will be hosting small bites and beverages every single day at The BFF Hive. 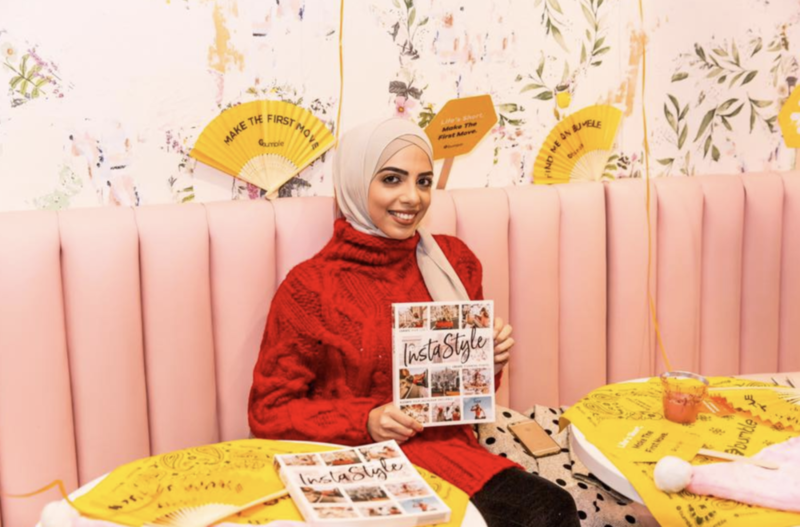 Meet up with your fashionable friends at The BFF Hive - whether you set the lounge as your meeting place to connect with old friends or stop by and stay awhile to make new friends, one thing is for sure…you’ll see The BFF Hive having strengthened your relationships. Whether you’re heading to a show at Spring Studios or down to Chelsea Piers, The BFF Hive is a short ride or stroll away from your next NYFW destination. Swing by or stay awhile - The Bumble Hive is here for you when you need a little break away from the hustle + bustle of New York Fashion Week. 5pm-7pm: Panel discussion: Women making bold moves in the industry moderated by Mandy Ansari with Chinae Alexander, Amanda Baldwin, Leckie Roberts, Maile Pacheco, and Rinat Aruh. 5pm-7pm: Panel discussion with #WeAllGrowLatina—Latina Influencers Changing the Game with Ada Rojas, Darlene Lebron, Chelsea as of Late and Alejandra Ramos.